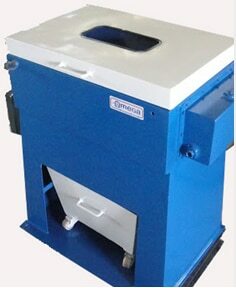 This machine is designed to strip out the wet flux of the coated electrode in green stage. 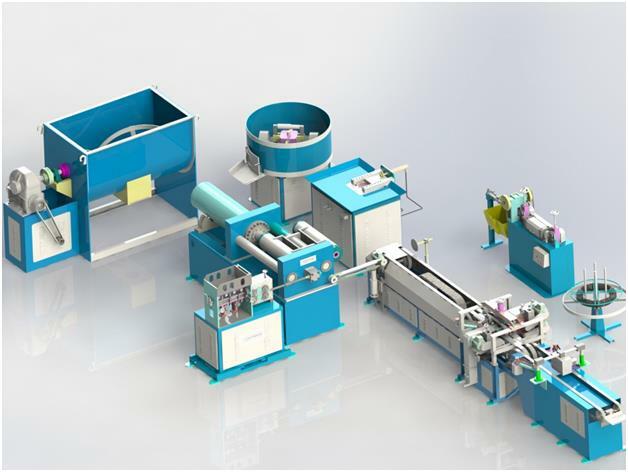 In the extrusion plant, some of the electrode will come out in under pressure or get damage in the conveyor or the electrodes tested in concentricity tester can not be used as such, hence we have to remove the coated flux from the core wire. The coated electrode to be loaded in the reclamation machine in batches of 10, 20 kgs. After loading, the top cover should be closed. After closing the cover the machine will be switched ON. Loaded electrodes are roated between 4 disc mounted shaft, each shaft having 26 nos. of inclimed disc. During rotation, the inclined disc will give wiping action, Out of four shaft bottom shaft is fitted with eccentric disc to give the agitating action to the electrodes. 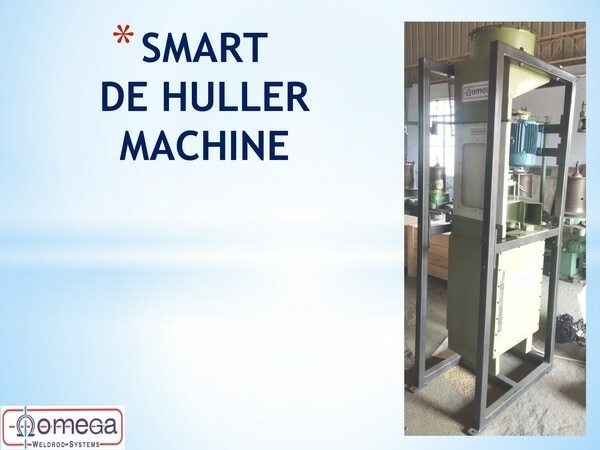 After few minutes (10 to 15 minutes) you can inspect through the transparent window fitted on top cover, the the core wires are taken and loaded to wire feeder of the extrution plant. Wet flux which was collected from bottom tray has been moved to wet mixer, along with this add 10% of wet flux for fresh batch. 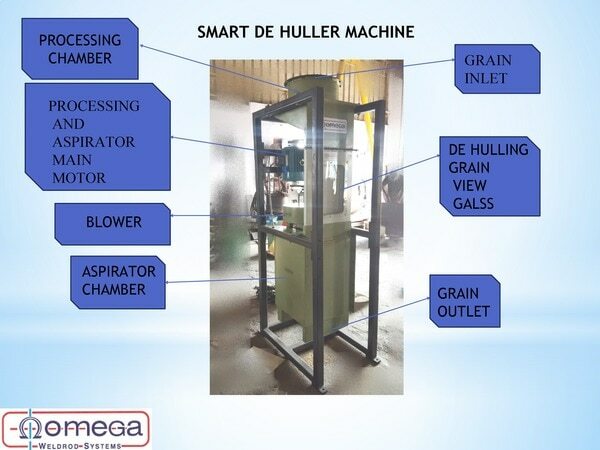 Hi, I am interested in "Flux Stripping Machine" and need pricing regarding same. Please contact me.